Lezyne Marco Duo comes as a front and rear bike light in one well built unit. Can it live up to the unique idea? When it comes to bikes and lights we see quite a few unique (and sometimes crazy) ideas here at Cycling Weekly. 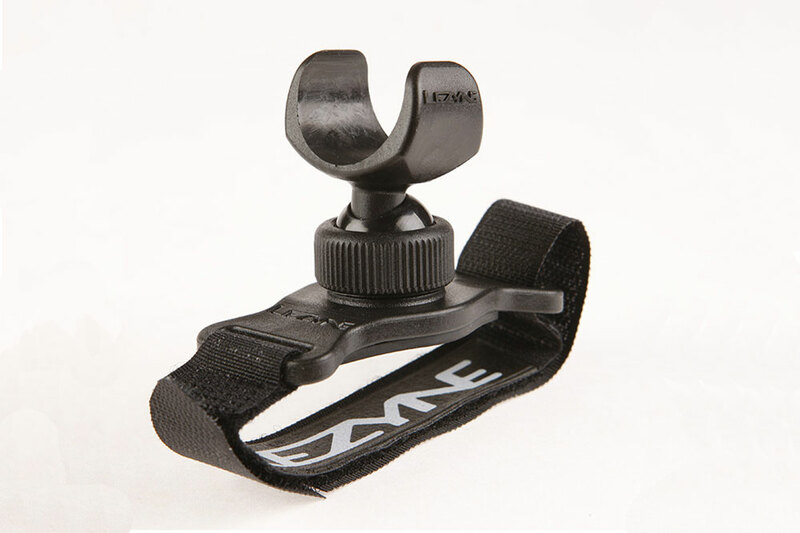 This new ‘Macro Duo’ light from Lezyne falls in to the unique category, and although it isn’t a ground breaking idea, it certainly had us scratching our heads as to why someone else didn’t think of it already. The big selling point of the light is that it comes with both a front and rear light, in one unit. The front light is nothing special at first glance, but it punches out 400 lumens through a nice beam pattern, a respectable amount of power from a body that is exceptionally well built, and weighs less than 100 grams. I mention the weight, because to make the most of this light, you’ll need to mount it on your helmet. It’s no good having a rear light mounted to your handlebars now is it? Thankfully, a helmet mount is supplied, so everything other than aero helmets or snowboard style commuter lids should fit the mount, which just straps on with some Velcro, and that low weight isn’t very noticeable once attached up top too. To have both a front and rear light in one makes the idea of having two separate units attached to your bike seem a little nonsensical, but the Lezyne system isn’t faultless. The rear light has only one power setting, although there are a couple of flashing modes. The power sits at only 5 lumens, which is fine on a very dark country lane, but we didn’t feel it was enough on lit streets about town where we were competing with shop lights, cars and other cyclists, all of whom had lights that were brighter than ours. The helmet mounting comes as something of a mixed blessing. For the front, it’s brilliant to be able to point the light at an obstacle or into the apex of a corner and see things clearly. The downside though was that we weren’t totally confident that drivers to our rear would be able to see us if we were constantly moving our heads, looking for obstacles or turning to see if junctions were clear. For that reason alone we’d definitely have a supplementary rear light attached to the bike, even if we didn’t legally require one. It’ll take you an hour and a half to drain the light on full power, but the easy to use button (with gloveless hands at least) meant that we only chose full power when we really needed it. For the rest of the time an economy flash mode, which lasts as much as ten hours, was the go-to choice. A great idea that we haven’t seen before that has a solid 400 lumen front beam pattern. However, the weak rear LED means you’ll probably still want a supplementary rear light attached to your bike.